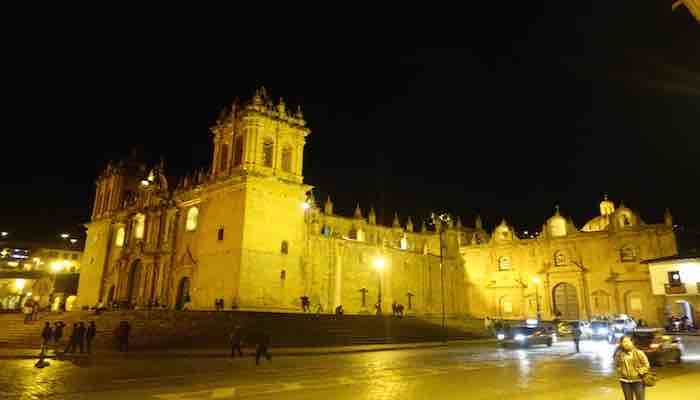 After spending couple of nights in Lima, next stop in Peru for Shuchi and me was Cusco. We were very excited about visiting this place, as this historic town was the capital city of the Incas and is full of temples. We landed at around noon in Cusco. The airport was basic and when we got out we started looking for a cab for our hostel. Dealing with cab drivers in Peru is very similar to India and you need to negotiate a lot. Cusco is a very touristy place where cab drivers and shopkeepers want to charge tourists more money. We were asked to pay 45 soles from airport to hostel (around 5KM) and one guy even showed the false official price list at the airport. After some negotiation we agreed on 20 soles to reach our hostel, which was at the center of the town known as Plaza De Armas. Traveling in South America has definitely improved our negotiation skills. Its challenging and fun at the same time when you are trying to convince and communicate in a language that you barely understand. After freshening up at our hostel, it was time to explore the city. 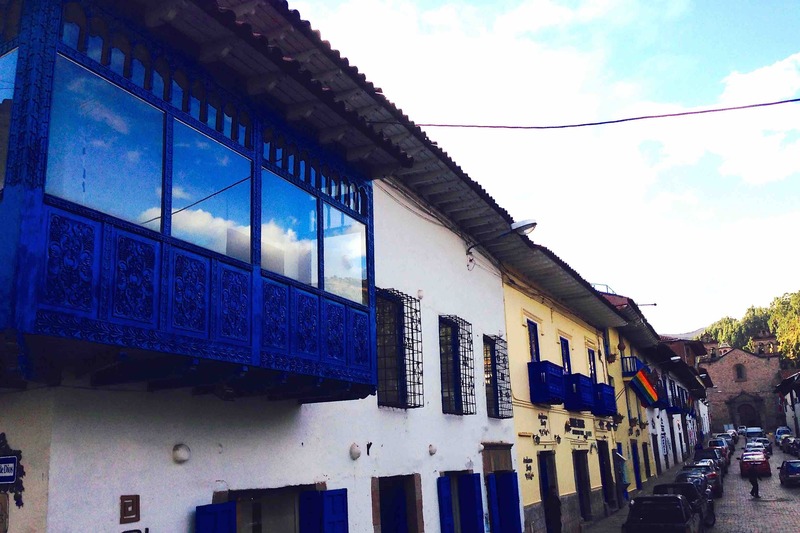 Cusco is a city in southeastern Peru, near the Urubamba Valley of the Andes mountain range. 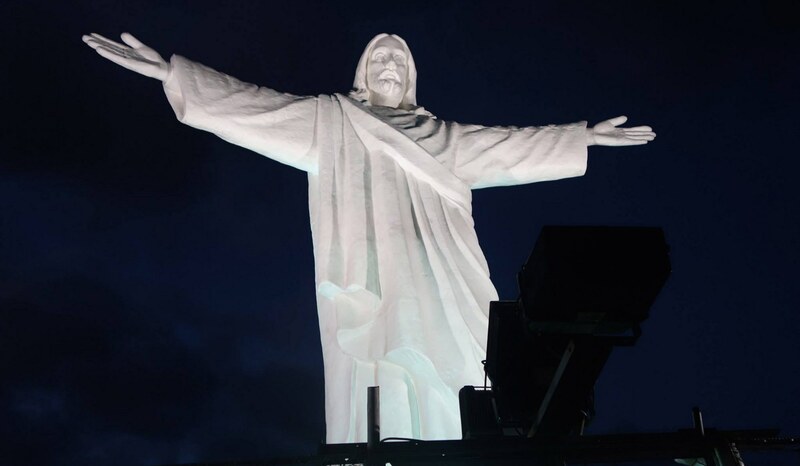 UNESCO declared it a world heritage site in 1983. The city is full of narrow roads made of stones that gives a historic feeling to the city. This place is cold at times and temperature ranges from 1–15 degree centigrade. Here November – March is wet season and April – October is the dry season but nights can be freezing. Once you live in US you get accustomed to controlled temperatures with hot water available all the time. Our hostel did not have insulation or heating and concrete floors were freezing at night. We were prepared for it and made sure that we got layers of clothes to protect ourselves from cold. The day we arrived, it rained heavily in the afternoon, which made things worse, but we were determined to explore the city. 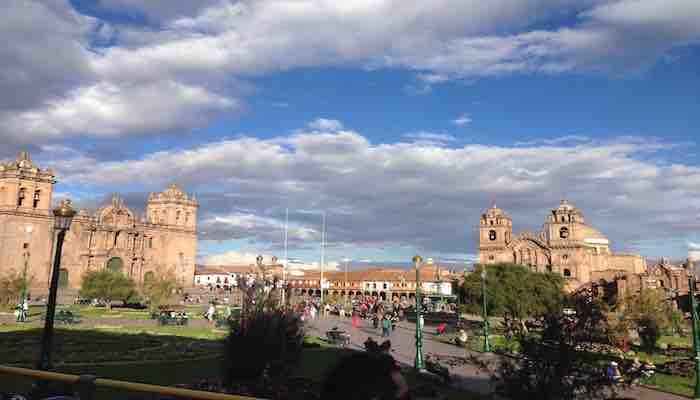 After a short walk from our hostel we reached Plaza De Armas also known as “Square of the warriors” in Inca era – it’s a main central square of Cusco surrounded by historical churches and temples. 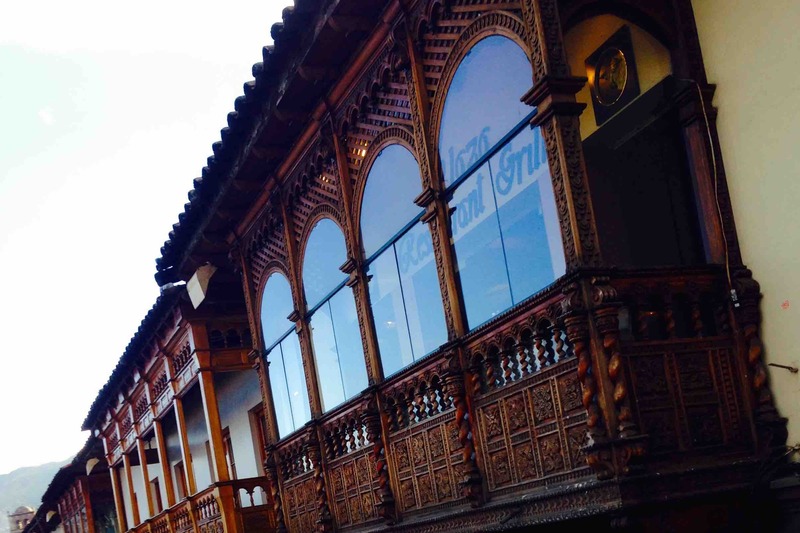 Exploring Plaza De Armas Exploring Plaza De Armas Exploring Plaza De Armas Spanish balconies around Plaza De Armas are another attraction that adds to the beauty of Cusco. 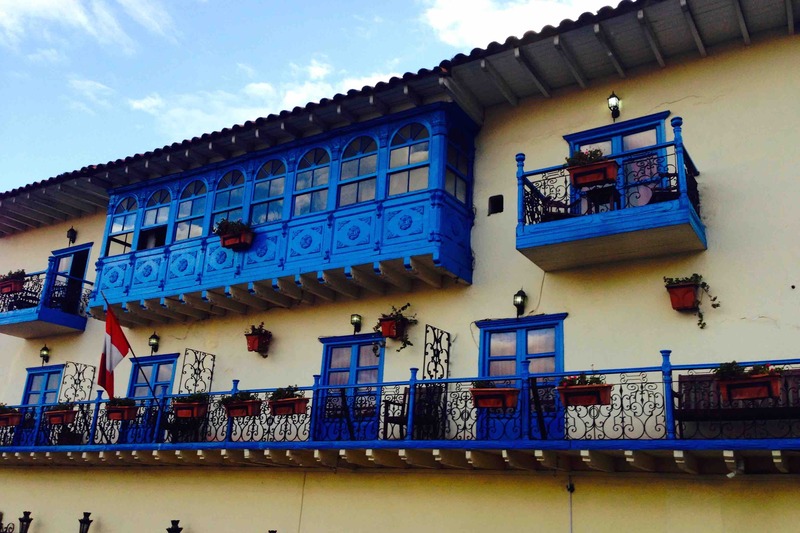 There are a lot of restaurants around this square where you can sit in these historical balconies and enjoy your food. We loved Bagdad Restaurant for their pizzas and Cappuccino Cafe for their awesome coffee. As we visited churches and temples we were amazed to learn the history of the Incas and how things changed in Peru once Spaniards arrived in 16th century and conquered the Incas. 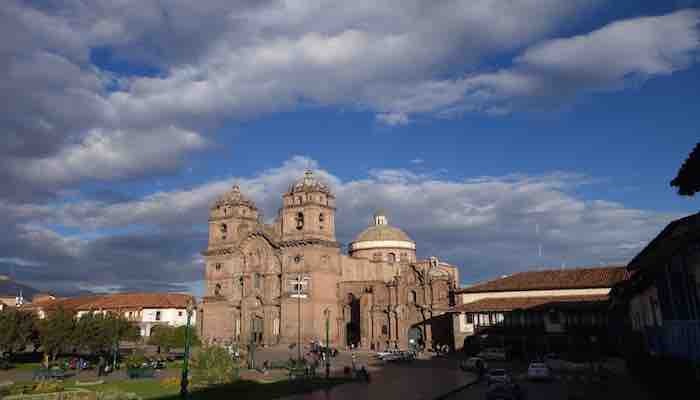 As told by the local people, Spanish rulers destroyed most of their Inca temples and converted them to churches. 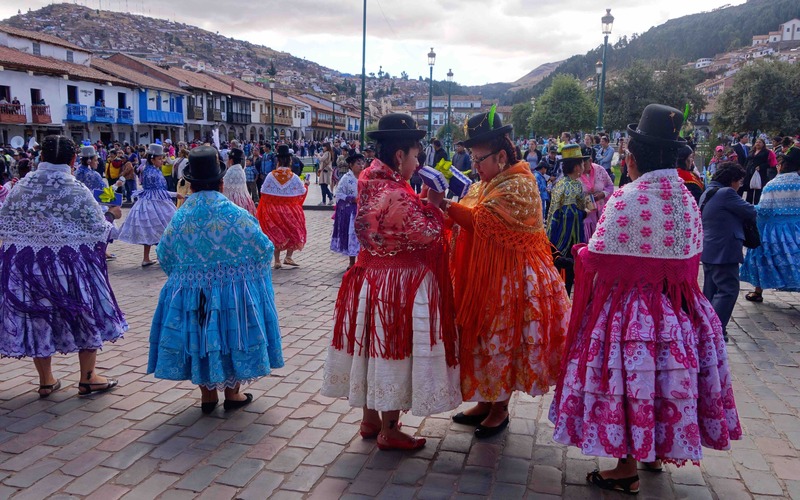 They banned their native language Quechua and asked people to speak Spanish and follow Christianity. The natives earlier worshiped Sun as their supreme God and believed it to be the primary source of life, food and everything on earth. 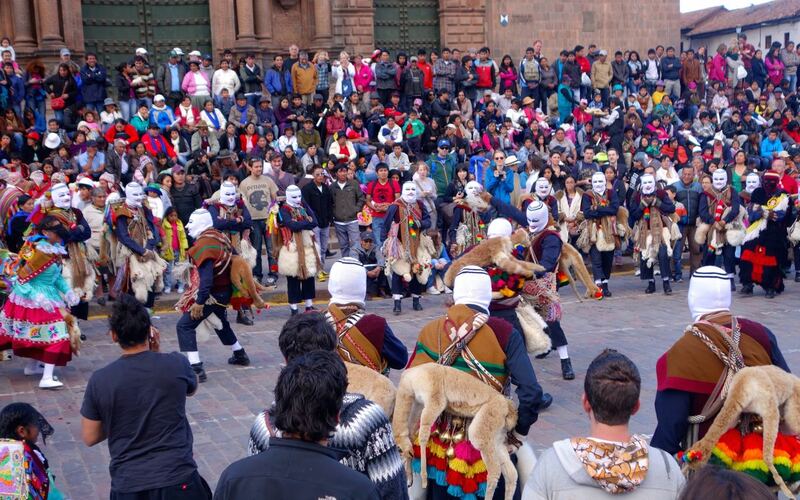 There are lots of effort going on by Peru government to revive the customs and traditions of Incas. 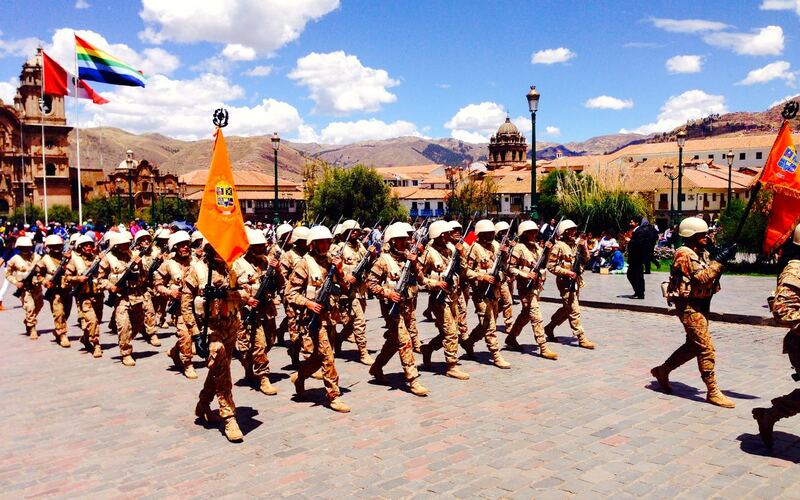 Now Quechua – native language of the Inca is taught in schools of Peru. Every Sunday morning Plaza De Armas is closed to the traffic for parade. It starts with Army parade saluting their flag, later followed by students, locals all joining in their native costumes and dancing around the center square. 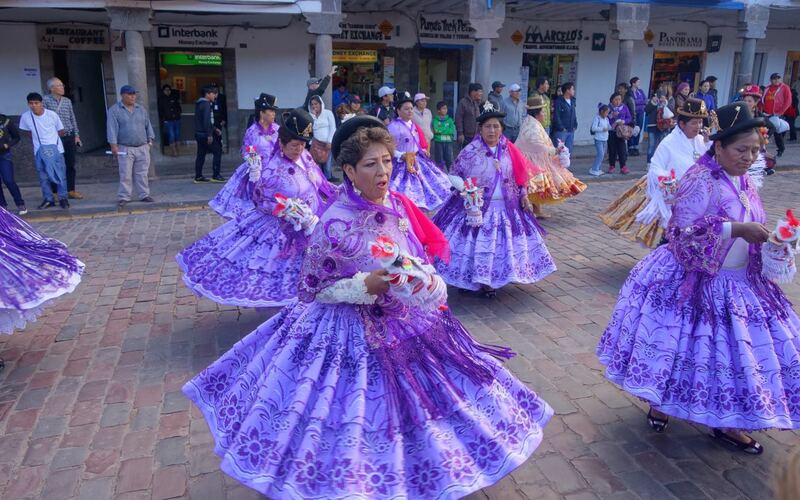 It’s a great opportunity to take great pictures and learn about the Peruvian history. Weekly parade in Cusco Weekly parade in Cusco Weekly parade in Cusco Weekly parade in Cusco In surrounding mountains of Cusco they have a big statue of Jesus christ similar to one in Brazil known as Cristo Blanco. Views of the city from this place is simply amazing, specially at night. 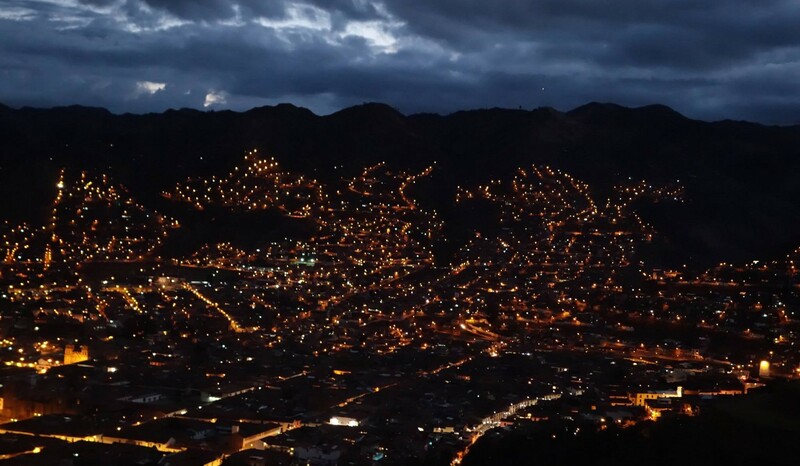 Christo Blanco City views from Christo Blanco History about the Inca civilization was so interesting that we decided to visit the Sacred Valley – city of Pisac and Ollantaytambo next day. 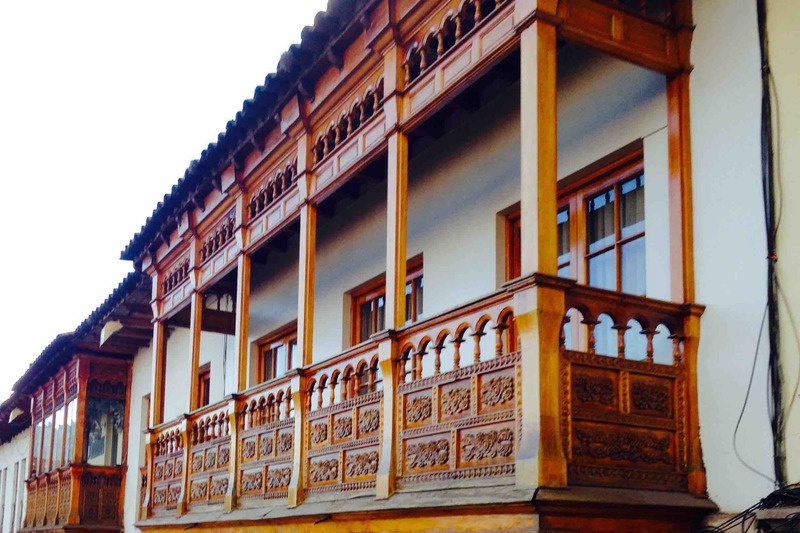 Both Pisac and Ollantaytambo takes you back to the historic times of Incas which was truly amazing. Yesterday night we returned from our two-day trip to Machu Picchu and have a lot of interesting stories to tell. I’ll write a separate blog about our experience at Sacred Valley and Machu Pichhu in upcoming posts.